Some more bad news for Facebook. The following two news bites explain why. At a deeper level, we must ask why Facebook users are disengaging. I suspect it’s due to two factors: one, FB’s expressed desire to please users by emphasizing friends and family in timeline feeds; and two, because most of FB’s timeline content outside of friends and family is fairly tedious and distracting. Both factors greatly reduce the ad pushing revenue model that FB depends on. One could feel this at least a year or more ago when ads grew like kudzu on our timeline feeds. The solution is to de-emphasize the monetization of meaningless connections and focus on meaningful connections. That can only come through peer-to-peer sharing of meaningful content. Stories is one way to engage our creativity. Many others exist. See tuka. Facebook had a terrible, horrible, no good, very bad day. After the company’s quarterly earnings call with investors, FB’s stock price dropped ~20% in after-hours trading. Over $100B in value disappeared in an instant after FB announced disappointing revenue numbers and user growth. Some context: that’s comparable to the entirety of General Motors, Ford and Target… combined. Less “viral” clickbait in the feed. Facebook has committed to optimizing for “time well-spent” in the app, not overall engagement. While this shift made for a better experience for users, FB can’t show users as many ads as before. Less feed personalization. In the wake of the Cambridge Analytica scandal and recent GDPR regulations, Facebook revamped its data usage policies and privacy controls. These changes hurt FB’s ability to charge companies big bucks to specifically target ads. But the most interesting change to the News Feed: the rollout of stories, a well-received but not-well-monetized feature that could change how most people use Facebook and their products altogether. Stories – tappable, full-screen photos and videos – are replacing news feeds everywhere. The format was originally pioneered by Snapchat. In fact, right after Snapchat launched stories in 2013, Facebook tried to acquire them for $3B. Facebook worked around the failed acquisition by copying Stories inside Instagram (and then in Messenger… and then in Facebook itself). 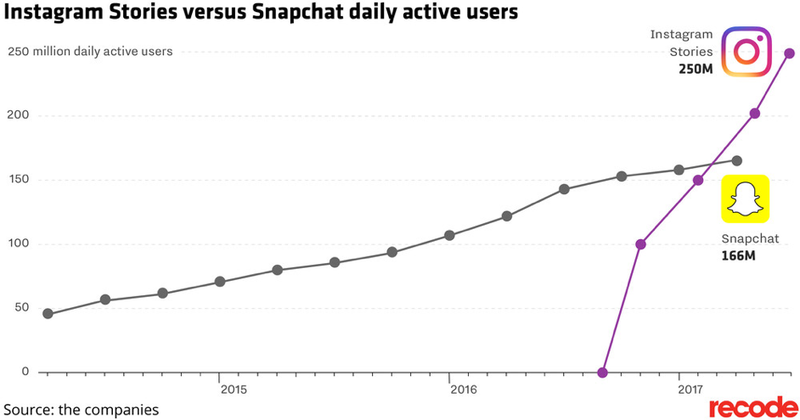 Instagram stories took off, with 250M+ users engaging with the feature less than a year after its launch. That’s over 50% of Instagram users… and close to double the number of Snapchat daily active users. As we’ve mentioned elsewhere, rule by algorithm can be just as stringent as any rule by a dictator, perhaps even more so as it is vague, faceless, and hard to define. And human actors will always adopt perverse incentives to game the algorithm. This article explains how Amazon Kindle algorithms can produce perverse incentives that determine market outcomes for books and the products we get to see and consume. Let’s just say, it ain’t literature! A genre that mostly features shiny, shirtless men on its covers and sells ebooks for 99 cents a pop might seem unserious. But at stake are revenues sometimes amounting to a million dollars a year, with some authors easily netting six figures a month. The top authors can drop $50,000 on a single ad campaign that will keep them in the charts — and see a worthwhile return on that investment. In other words, self-published romance is no joke. Book stuffing is a term that encompasses a wide range of methods for taking advantage of the Kindle Unlimited revenue structure. In Kindle Unlimited, readers pay $9.99 a month to read as many books as they want that are available through the KU program. This includes both popular mainstream titles like the Harry Potter series and self-published romances put out by authors like Crescent and Hopkins. Authors are paid according to pages read, creating incentives to produce massively inflated and strangely structured books. The more pages Amazon thinks have been read, the more money an author receives.